What software do they use? What’s their computer setup? Who inspires them? Workspiration interviews creative professionals about work strategies and gear. 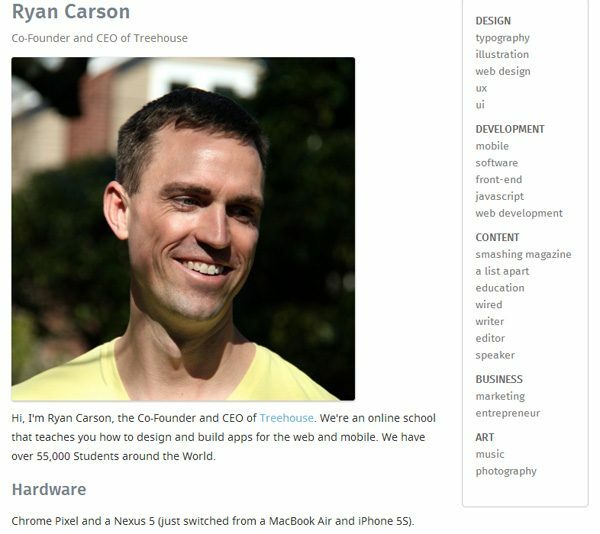 There are currently over 150 interviews on Workspiration. A big majority of the posts are interviews of designers and developers, but you’ll also find interviews featuring artists, entrepreneurs, and writers. 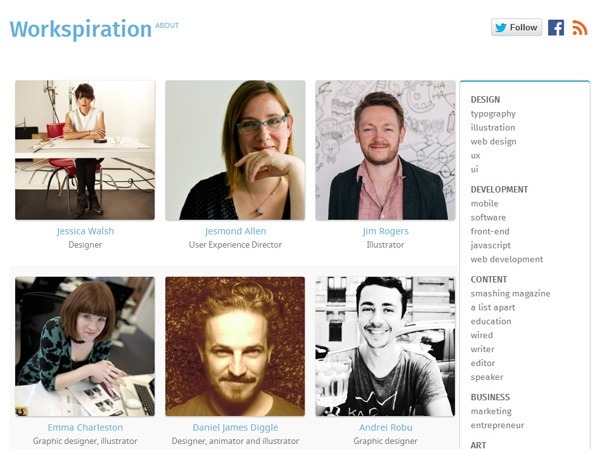 Among those that have been interviewed on Workspiration are Francesco Franchi, Jessica Walsh, and Ryan Carson. By the way, The Setup is another great site that interviews professionals about the things they use to get stuff done.